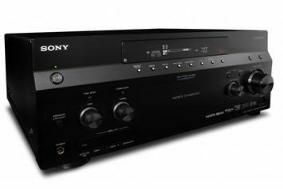 Sony adds two high-end 3D-capable network AV receivers to its ES range | What Hi-Fi? The STR-DA3600ES and STR-DA5600ES also offer advanced versions of Sony's Digital Cinema Auto-Calibration and Digital Cinema Sound processing, using measurements taken in Sony Pictures' Cary Grant Theatre. In the STR-DA5600ES this extends to the use of front height channels, thus creating a more cinematic experience. The 100W per channel STR-DA3600ES has four HDMI inputs and one output, with Audio Return Channel on the monitor output, and passthrough of HDMI content even when the receiver is off. It has full DLNA client capability, including internet radio, while the built-in Ethernet hub makes connection simple. The DCAC calibration includes Automatic Phase Matching to simplify the use of mixed speaker brands, and that HD-Digital Cinema Sound processing for a more immersive experience. 1080p video upscaling is provided, and the receiver can supply video and audio to a second zone, and audio to a third. The STR-DA5600ES delivers 7x140W, and has six HDMI inputs and two outputs, with ARC on one of the monitor outs. Again there's power-off passthrough and a four-port Ethernet switch, but as well as acting as a DLNA client this model can also stream analogue sources to external clients over a network. It also has Sony's H.A.T.S. system, which works over HDMI with suitable players, such as the company's SCD-XA5400ES, to reduce jitter and give a smoother, more detailed sound. The calibration is Sony's top-flight DCAC-EX, and in addition to Automatic Phase Matching the STR-DA5600ES also has Speaker Relocation, which uses sophisticated digital signal processing to 'move' speakers into their ideal position, thus compensating for less-than-perfect room layouts. And in addition to the STR-DA3600ES's upscaling, the STR-DA5600ES can also give 1080i upscaling into a second zone. Both models will be available in October, at prices yet to be announced.